The results of the research and development projects Martingale Research Corporation has worked on are applicable to many fields. In many cases, the corporation has built on its previous research to develop further advances. Descriptions of many of Martingale's major projects are presented in this timeline. Modulation Theory in Hilbert Space: This project resulted in a unified theory of modulation and demodulation in a Hilbert space setting for application to signals intelligence problems. 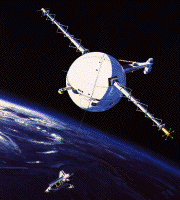 This work led to subsequent contracts with the Navy Space and Naval Warfare Command and the U.S. Army CECOM. Soliton Reverberation: A successful project that identified one differential equation, among the known nonlinear equations that produce solitary wave solutions, for automatic intrinsic control of the learning and playback mechanisms for a new neural network. 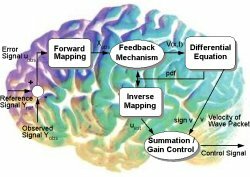 The winner was the time-dependent Schroedinger equation with a cubic nonlinearity, and its subsequent use as the novel "supervisor" of a neural learning algorithm was dubbed "Quantum Neurodynamics." 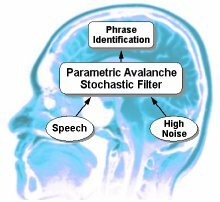 Parametric Avalanche Stochastic Filter (PASF): A novel neural network technology that excels in adaptive control environments and in processing real-time data. The PASF architecture is based on the mathematical methods of Quantum Neurodynamics to solve several fundamental problems of dynamical and cognitive systems. Applications of the PASF include nonlinear dynamical systems such as control systems, fault detection, speech recognition, and video processing. Adaptive Controller for Tethered Satellites: A new control algorithm based on the PASF technology, developed for NASA for use in the control and stabilization of tethered satellites. The controller damps out oscillations in the plane of the orbit by pulling and releasing the tether in response to sensor measurements, and does not require an extensive model of the system in order to work. Target Tracking Prototype: A target-tracking system which uses PASF technology to track targets accurately and in the presence of heavy noise. 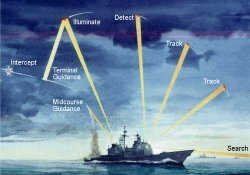 This system, developed for the Naval Surface Warfare Center, is capable of tracking one or multiple maneuvering targets through substantial noise, and will begin tracking before sufficient likelihood is accumulated to declare a detection (track before detect). 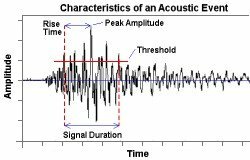 Automatic Detection and Classification of Cracks: A new method for detecting acoustic emissions (AE) resulting from crack growth in metal structures. This nondestructive evaluation system is based on the PASF and utilizes its ability to distinguish events from a continuous, noisy data stream to detect fatigue crack events during normal operation. Adaptive Beam Stabilization System: A control algorithm for dynamic stabilization of a flexible beam mounted on a moving platform with active sources of disturbance and nonlinearity. 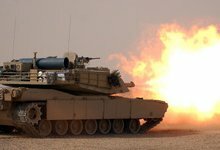 Developed for the U.S. Army, the system achieved precision beyond the mechanical tolerances in the gear backlash in simulation testing. Speech Recognition: This project applied the PASF to large vocabulary continuous speech recognition in the presence of extreme noise. Subsequent applications of this technology include real-time adaptive controls, field-usable speech recognition systems, and intelligent human-machine interfaces (HMI) to existing systems. Constrained Categorical Regression: A new approach to database analysis that integrates prior knowledge as logical causal relationships directly into the analysis of categorical dependent-variable data. 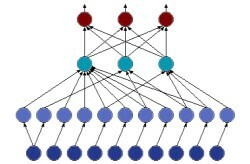 It makes use of both neural network and advanced statistical technologies to provide advanced capabilities for modeling and exploiting data relationships. with questions or comments about this site. Copyright © 1996 - 2019	Martingale Research Corporation. Last modified on June 19, 2007.